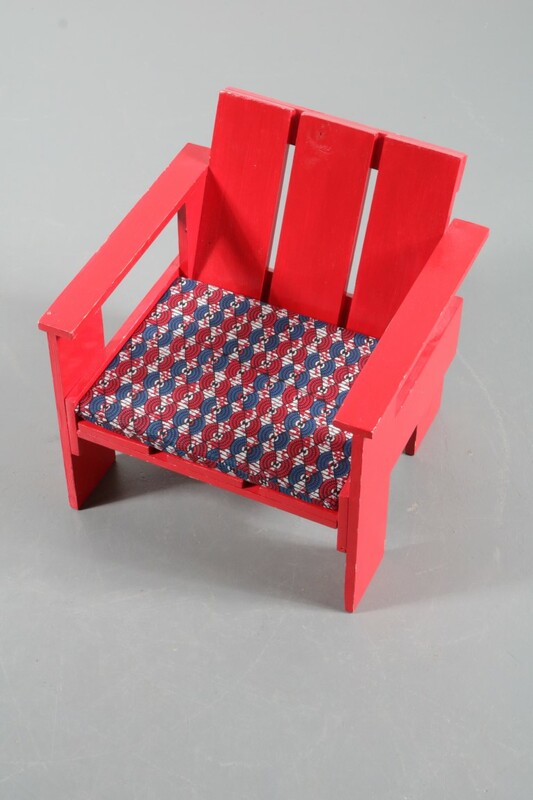 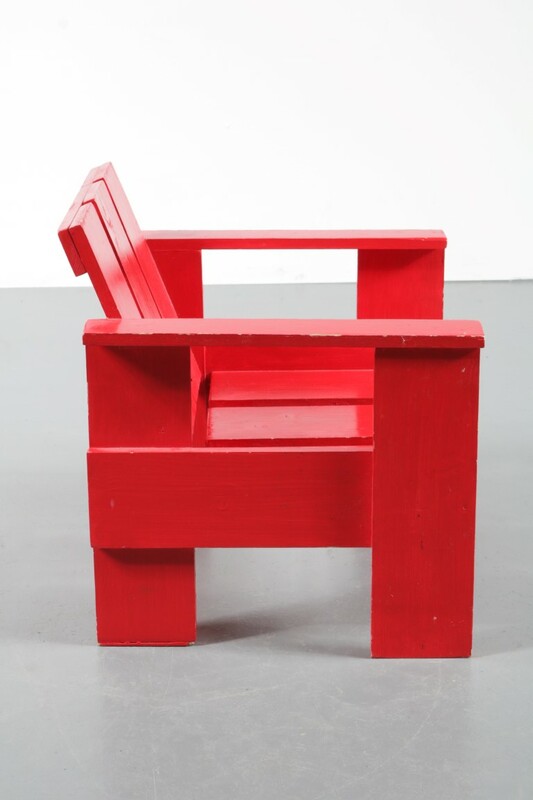 A lovely red painted wooden children chair. 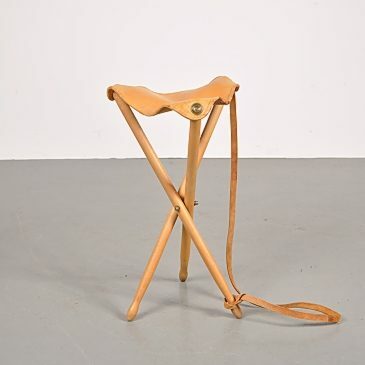 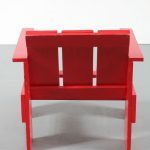 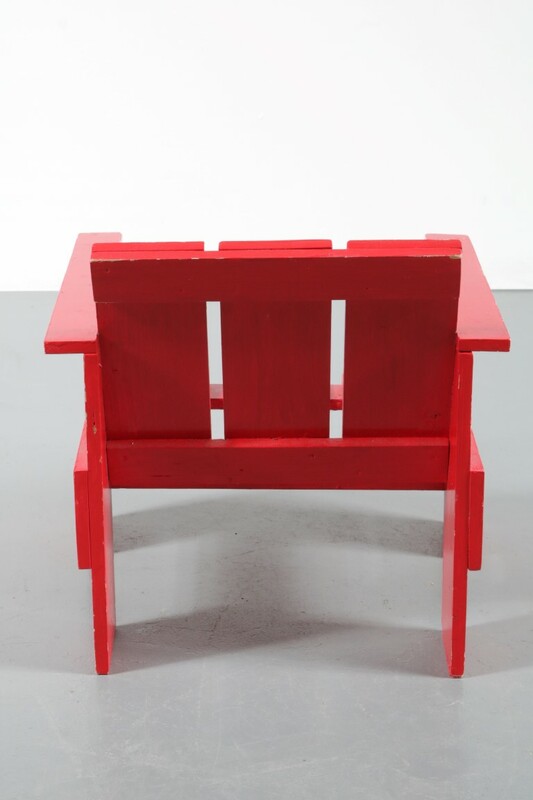 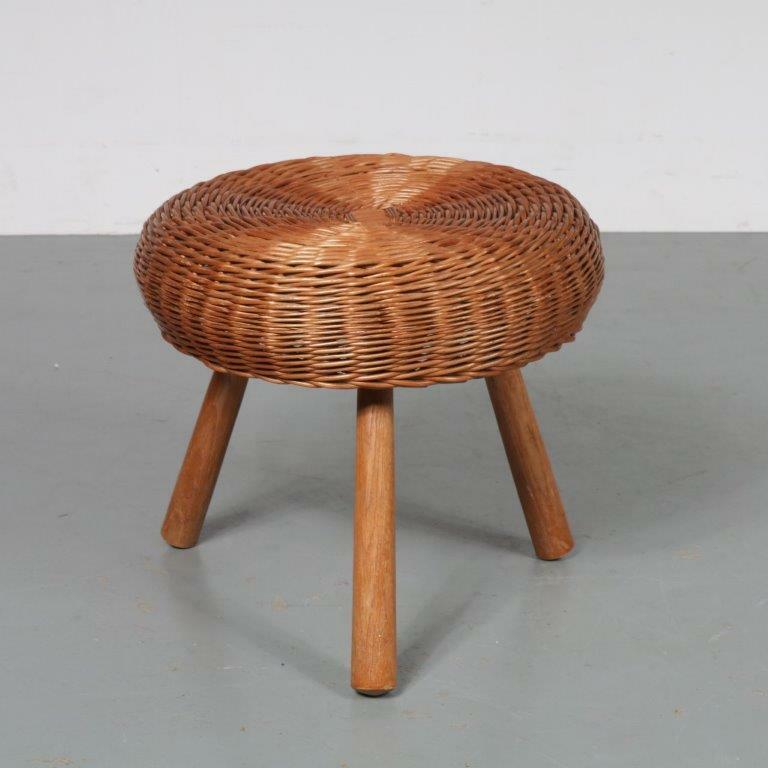 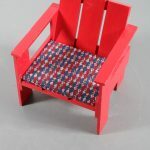 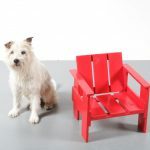 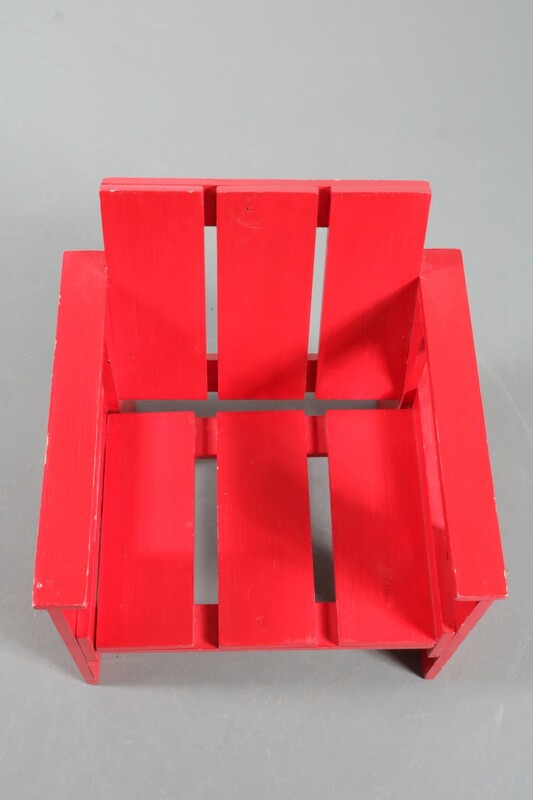 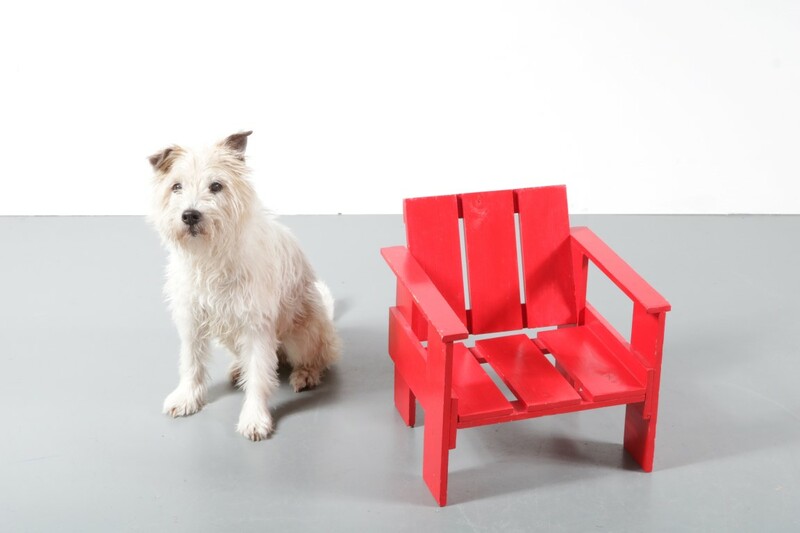 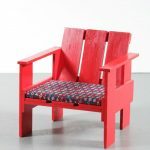 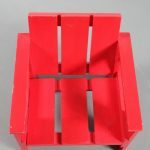 This is a small version of the famous Dutch crate chair by Gerrit Rietveld. 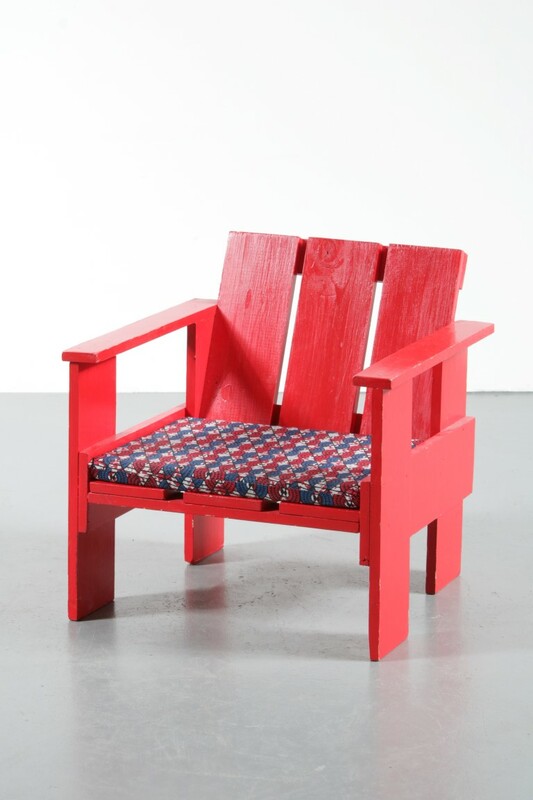 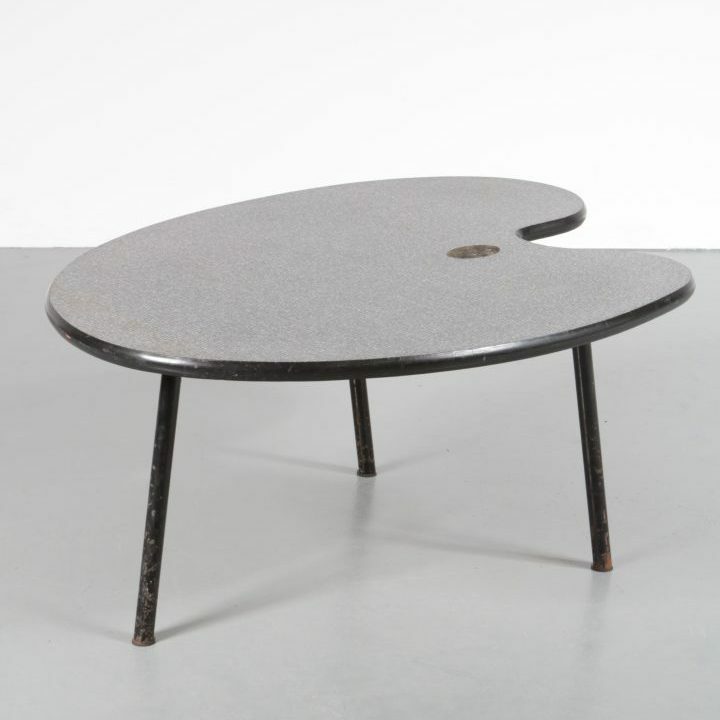 It has a nice colourful cushion to provide some extra comfort. 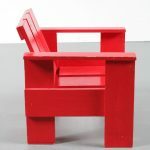 This cute chair would be a wonderful first piece of design for the kids! 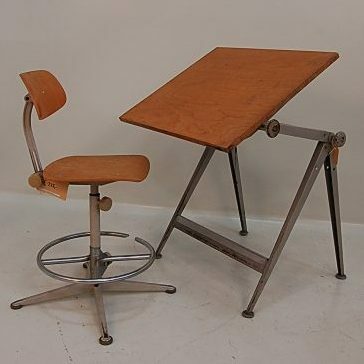 It remains in very good condition.